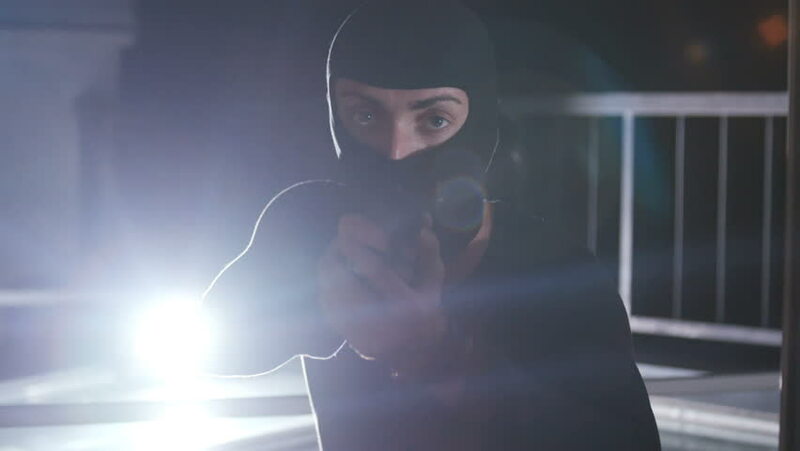 Caucasian criminal in black balaclava turning gun and looking directly at camera. Masked bandit going to commit crime. Lifestyle. Night time. 4k00:11Masked man turning gun and looking into camera. Bandit putting gun down. Lights in background. Darkness. Night time. hd00:53CIRCA - 1966 - Kids in day camp paint a mural on a fence in downtown Manhattan. hd00:24Child looks at the rain behind the window. Stock Footage. hd01:10CIRCA 1938 - The Great Horned Owl and its young in the Arizona desert.